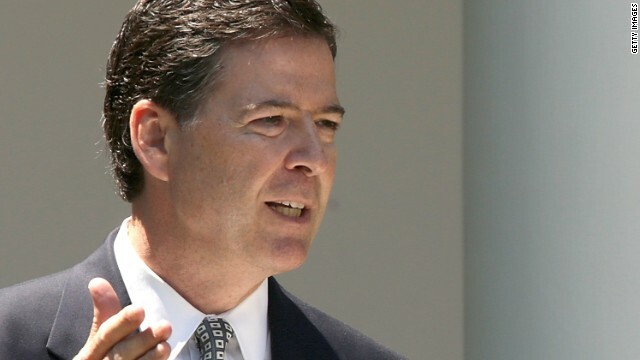 Washington(CNN) – FBI nominee James Comey reported a net worth of more than $11 million in documents filed with the Senate committee due to weigh his confirmation on Tuesday. Comey also reported to the Judiciary Committee that he will get a profit-sharing payout of more than $3 million from the hedge fund, Bridgewater Associates, if confirmed. He was the firm’s general counsel from September 2010 to this past January. Comey and his wife, Patrice, listed about $5 million in stocks. Their investments include a Schwab government money fund, Exxon Mobil, Pepsico, Berkshire Hathaway, Verizon Communications, Proctor & Gamble Co. and Hormel Foods. The couple also said that they own a home worth around $3 million in Westport, Connecticut. deputy attorney general in the George W. Bush administration. In addition to Bridgewater, he was general counsel at defense giant Lockheed Martin for five years. Comey also reported charitable work. He and his wife are licensed foster care parents in Connecticut. In late 2011, Comey said he and his wife took in "a newborn boy born prematurely with cocaine in his blood stream and cared for him for six months until he could be placed with a foster-adoptive mother." The Comeys also donated money to create a foundation to help children who age out of the foster care system but are not ready to make it on their own. His did very good ! Guess Obama didn't steal HIS money. A multi-million, appears to be qualified for the job...and a "do-gooder." I'm impressed. The man is loooooaded....and TALL!!! Please tell me that he DOES NOT take payment for the foster care.